Rob Kardashian wants to take Blac Chyna to court after seeing her fight at Six Flags infront of their daughter - Ooooooo La La! I KNEW the Kardashian's were going to pull the 'Chyna ain't a stable mom'-card! I even called this would happen in last night's Reality Recap segment. So, according to TMZ, Rob Kardashian is livid at Blac Chyna for putting their 1-year-old daughter, Dream, in harm's way over the weekend at Six Flags. Rob plans on taking his ex back to family court. 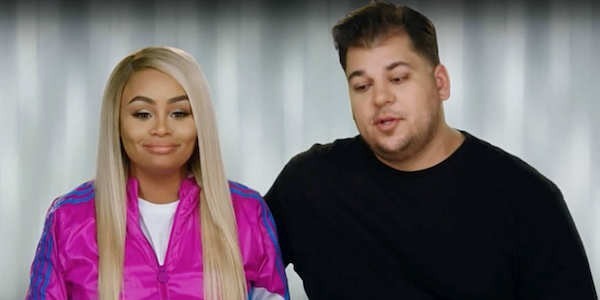 Sources connected to Rob say he has been watching Blac Chyna's antics in horror for months and is increasingly worried for his daughter's health and safety. The last straw was turning Dream's stroller into a weapon as she attacked a woman who dared to touch the kid, TMZ reports. TMZ was told Rob and his lawyers will file legal docs asking for a hearing to set clear rules for Blac Chyna ... what she can and cannot do when the child is present.